** ### ** _ ** Original story: ** _ A week after on-air staff were axed, DAWG FM is not revealing much about what is in store for its listeners once it switches to a new frequency this Friday. Plagued by a weak signal since its beginning in 2010, DAWG 101.9 brokered a deal last year with Fort-Coulonge Que. station CHIP 101.7 to swap their frequencies. DAWG would move from 101.9 to 101.7, and vice-versa for CHIP. According to CHIP’s website , the swap will take effect at 7:00 p.m. Friday. The move will allow DAWG to increase its power to 19,500 watts and cover a larger portion of the metro Ottawa area. But once it gets that improved coverage, what else will change at the station? There are some clues not all will be exactly the same. Hosts Patricia Lever and Geoff Winter both were let go about a week ago. An archived version of DAWG’s website indicates they may have been the only local hosts at the time. Lever told _ ** OttawaStart.com ** _ she was not given notice before her firing. “My services as the mid day and evening syndicated Host were abruptly terminated late Sunday [August 14] nite… I was told that they wanted a clean slate for their new format.” she wrote in a Twitter DM. Meanwhile industry blogs Airchecker and Puget Sound Radio both reported Darryl Kornicky, formerly of 93.9 BOB FM, had been hired. Another possible clue of a change came earlier this summer. 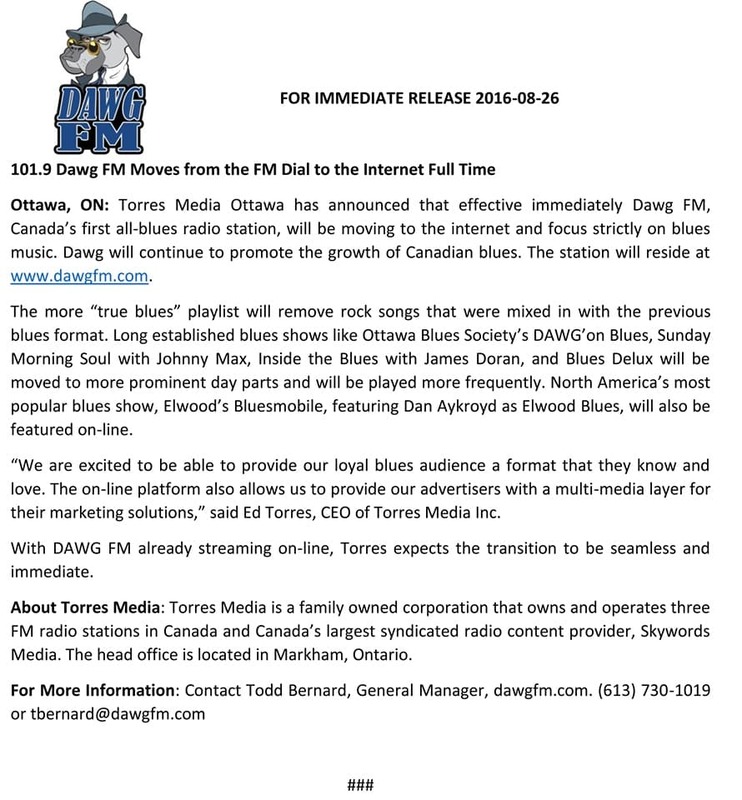 In July, the CRTC renewed DAWG’s license through to 2023, also removing the station’s requirements to broadcast at least 20 per cent “special interest” (blues) music. “Relieving CIDG-FM from the requirement to broadcast special interest music and thus allowing it to broadcast higher levels of popular music would provide the station with the flexibility it needs to increase its audience share, making it able to compete more efficiently with other stations in the market.” the CRTC wrote in its ruling. 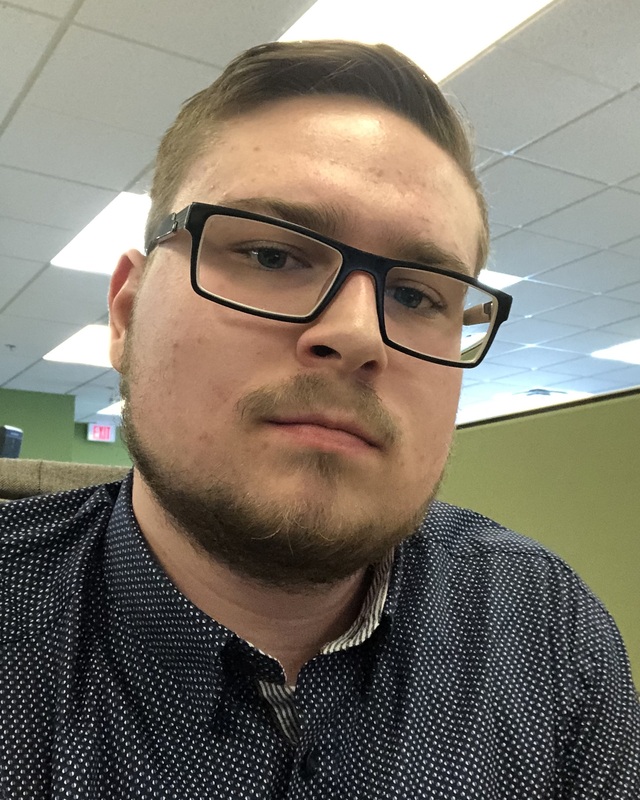 When reached by _ ** OttawaStart.com ** _ , DAWG General Manager Todd Bernard could not offer much comment, but did say he was aware of rumours. “There has been considerable speculation regarding the future of DAWG FM since our CRTC license renewal on July 18th.” he wrote in an email. This story will be updated when the press release is available.